Book now, ask questions later has become my motto when it comes to buying airline tickets. With the 24-hour cancellation policy that all U.S. airlines and Orbitz/Priceline have, if I see a good deal, I buy the ticket–even if I am not sure I really want the flight. Airline pricing in the U.S. fluctuates so rapidly that fares may change multiple times in a single day. If there is somewhere I want to travel and I see a flight that *might* work, I book it. 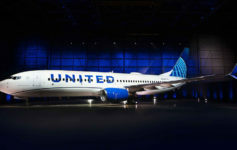 With the demise of the 24-hour online hold option on united.com–another topic for another post–this has become a regular practice for me. But there are downfalls, most notably of which is forgetting to cancel the booked ticket within the 24 hours if you determine the flight doesn’t work or better alternatives exist. This just happened to me earlier this week. I need to travel from PHL-TPA in a few weeks and wanted to book PHL-ORD-TPA in order to earn extra miles. Upon searching for fares, all connection through Chicago returned a higher price than connecting in Dulles, so I booked an IAD connection, thinking I would cancel within 24 hours if something opened up through ORD. Turns out I forgot to cancel, and prices did drop through ORD–but I’m stuck connecting in IAD now. Not a huge deal, but a loss of over 1200 miles, a lunch flight, a mainline flight, and a slightly better chance at getting a bump. Hopefully I have learned my lesson. What prompted this post, however, was an e-mail I just received from a UPGRD listener who was considering booking a o/w UA trip from BOS-HNL at a price of $990 in First on Monday. He decided to wait a day, and the fare went up $400. Must be nice to have a wallet flush with cash. The credit card bill doesn’t come till the end of the month. If you cancel within 24 hours, you don’t have to touch your bank account. You’re still no proletariat, my friend. Touché. But if you didn’t have those systemwides, you would. My obstacle is that my EQM already exceed my income, so these random trips are really limited. @kd5mdk: As the year draws to a close, I also find myself booking fewer tickets than earlier in the year (I’ve met my quotas too). In this instance, I had to book a positioning flight for a trip to South America–an actual vacation rather than a mileage run! I will especially book immediately and ask questions later if I run into a mistake fare. Normal fares fluctuate, but mistake fares literally only last for minutes sometimes.